What can I say about this shoot. It's vibrant, fun and hilarious. 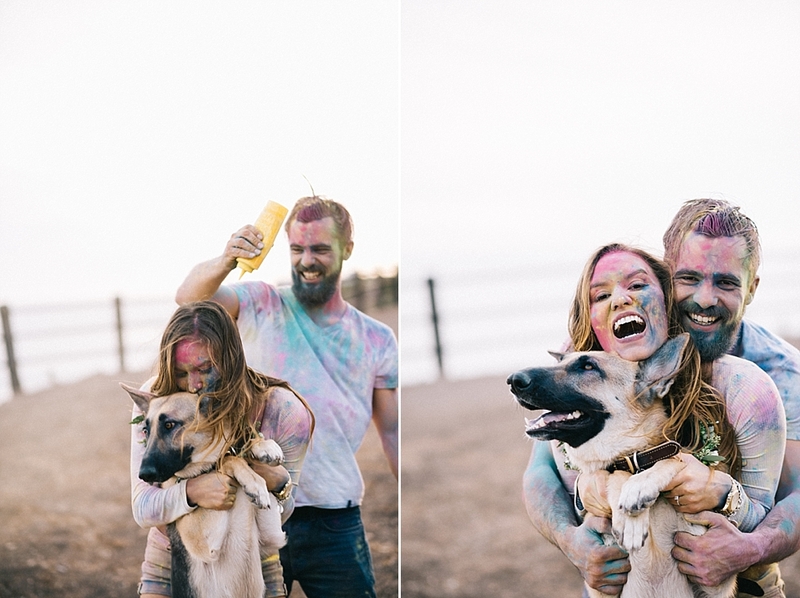 By the end of this shoot, Noemi + Nick were full of color, literally. Their german shepherd was too. Thank you to Kate from Blue Door Creative for styling this shoot and Culver Flowers for the flower crown. We really took color-dyed flour to the next level. Noemi + Nick met in high school but their romance bloomed 10 years after high school. I love when that happens. Aren't they gorgeous? Their first look was bohemian chic and their second was simple. 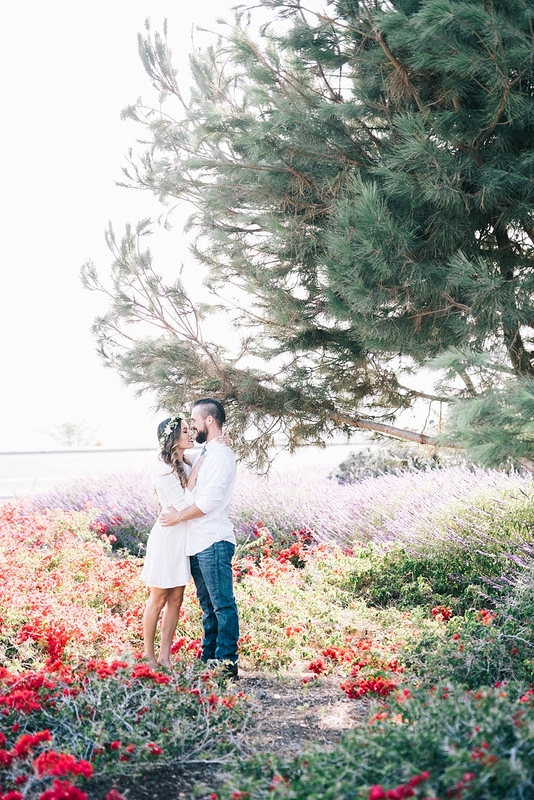 We also choose a simple backdrop, Abalone Cove in Palos Verdes, so the color powder would really pop! I can look at these photos all day.